Evil is the New Black is a completely new take on a traditional EPK site. The site serves as virtual lookbook for the film's fashion, environments, characters, behind-the-scenes footage and more. Comprised of original static and animation content, custom video transitions, and hand-picked stock photography, the site provides a wealth of shareable material for both an active and passive audience. 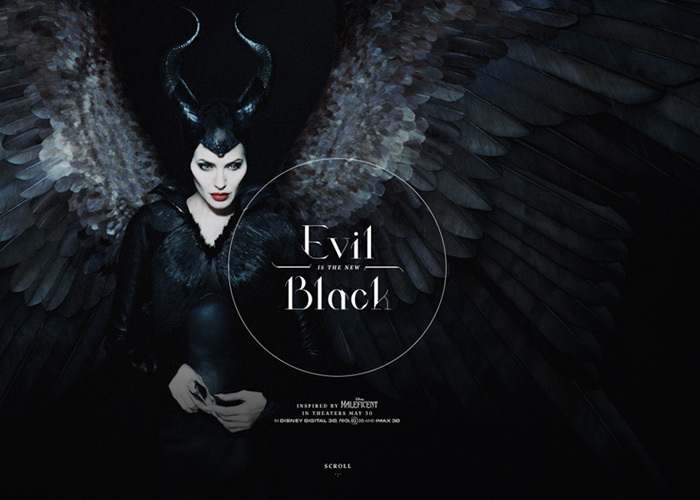 By aligning Maleficent's aesthetic with contemporary fashion, Evil Is The New Black generates awareness through thematically-driven content that is displayed in a narrative context.